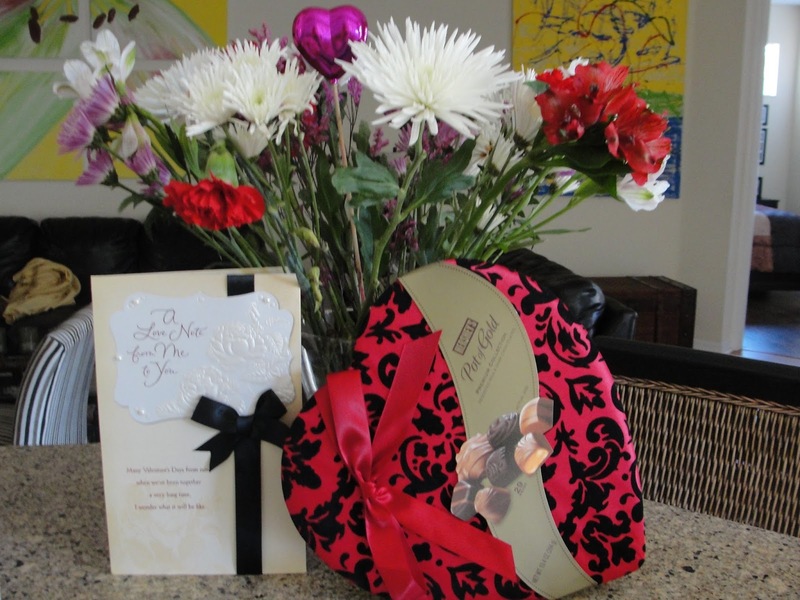 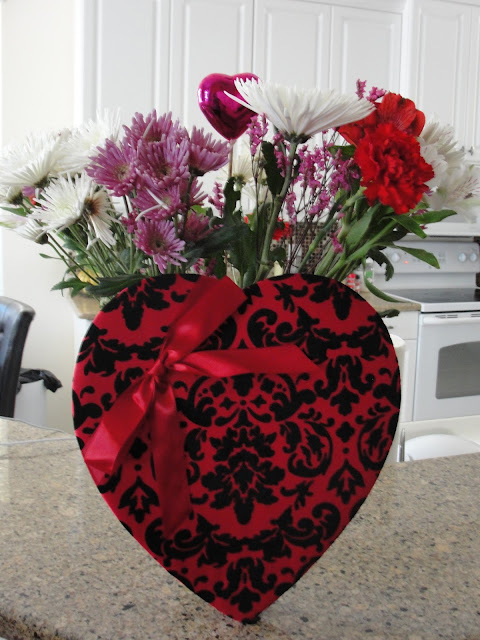 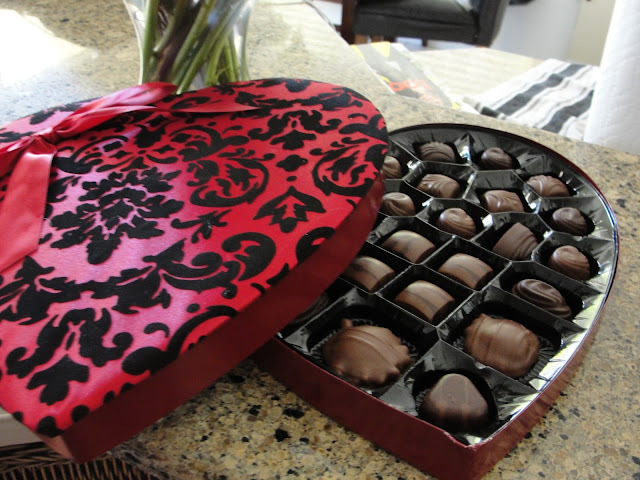 My husband surely surprised me today with a gorgeous bouquet of flowers, chocolate, a wonderful card and he even got me a gorgeous new watch! 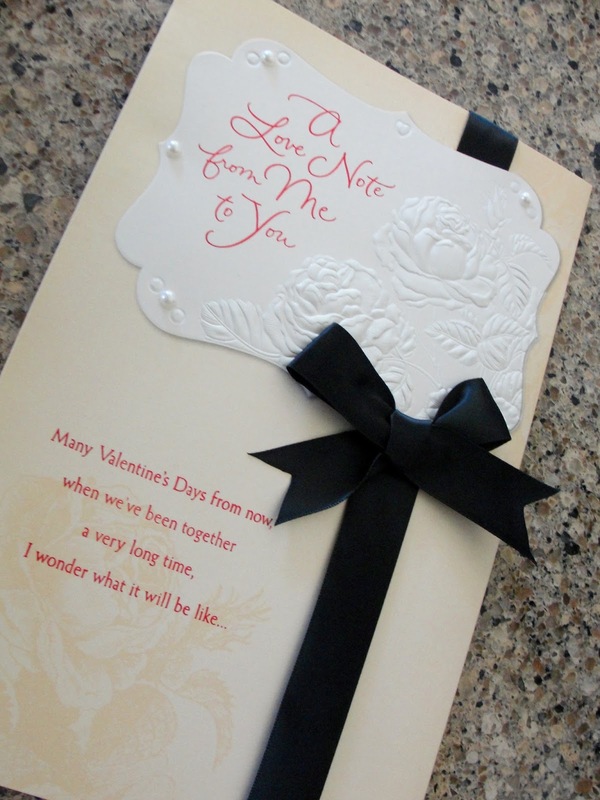 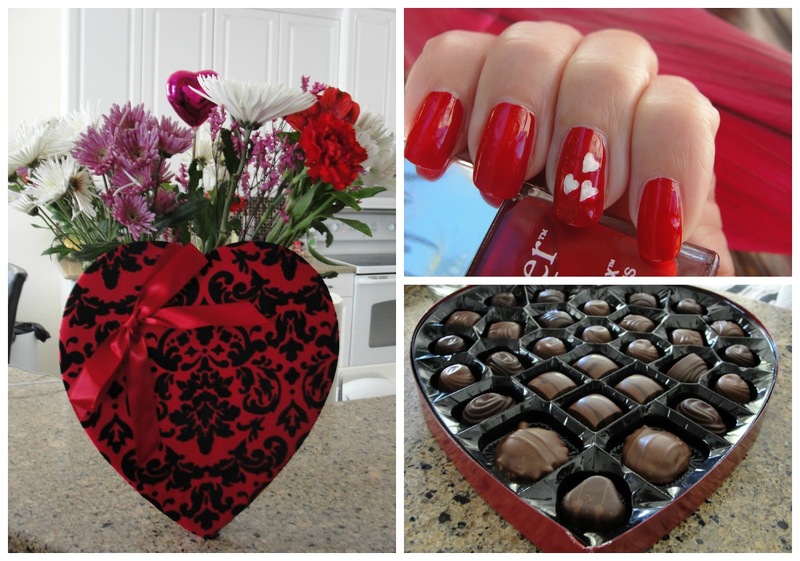 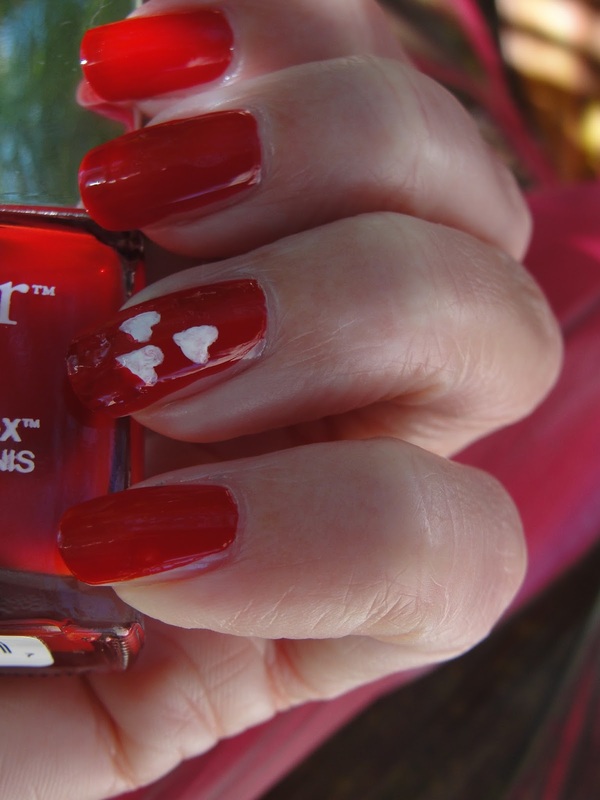 Last year I had white nails with red hearts on Valentine´s Day and this year I did exactly the opposite! 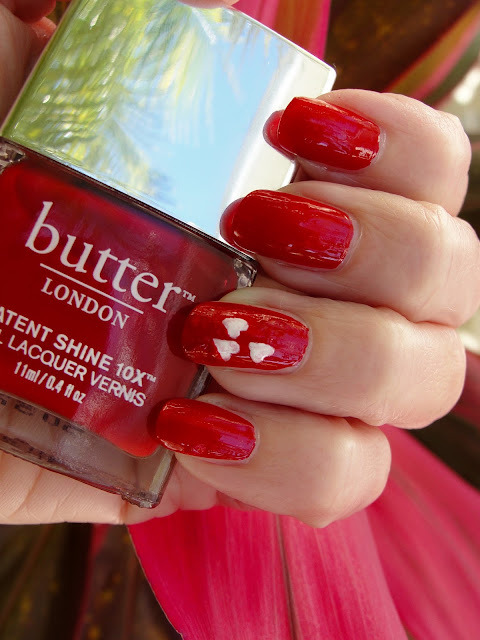 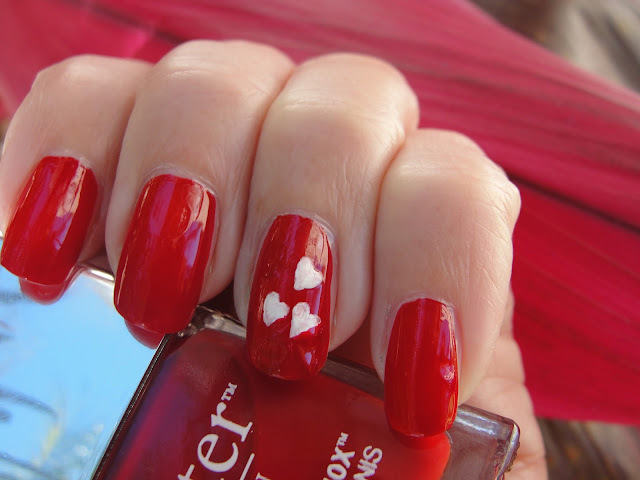 ;-) I`m wearing Her Majesty´s Red by Butter London with French White Cream hearts by Wet n Wild.